I thought super vegeta was gonna bring a lot of "hoopla", but it still only has 4 pages... when broly was announced his page already had 17 pages. Honestly, pretty good deal. The PC Vegeta is pretty much obsolete now that this one has been announced. 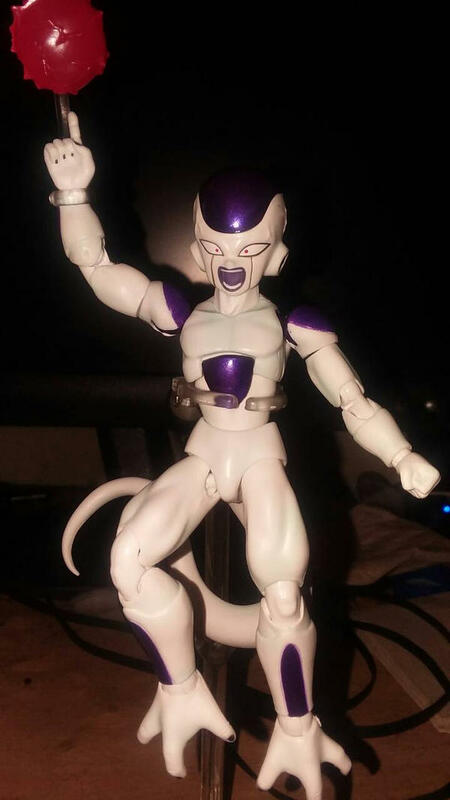 I might keep mine just to swap the heads if it's possible, to give him a skinnier early SS Vegeta look. 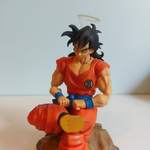 Broly was a totally new figure, and also a figure nobody was expecting. In fact, I still can't believe it was released. Still my favorite figure, no debate. A true beauty of a figure. This Vegeta isn't really unique. Cool, but nothing new. Majin Vegeta would have much more hoopla. Yup. Broly still being the truly KING of this line. Still can't believe the nerve of Tamashii, to release this figure for $70+ and not include a base head. I'm leaning towards passing on this, to be honest. Too annoyed. I'll settle for the PC Vegeta. Never had a problem with it in the first place. Wait he is 70 bux? Bills and whis were between 48-52 (minus tax) wow. They jus want to milk us. How do we know this will be $70? It's not gonna be $70. Its gonna be about the same as all other releases, maybe $50 max. People started spreading this misinformation after Toyark made a mistake on their website. If they did this improvement to Vegeta, coudl this mean they will do it to super saiyan goku? Or piccolo? Or maybe..... Ssj3 goku?!!!! Perhaps this improvement is a loophole around their policy to release exclusives. Instead of premium colors, they could just do, 2016 edition. Or something like that. Will the powered down Vegeta head just look too small on this body if taken from the scouter Vegeta? Looks like we're just getting what what's shown: 3 pairs of hands, 4 faces and the crossed arms. Oh well. Heres hoping that a PC Saiyan Saga Armour Vegeta will be released 1 day. Really just want a base head without having to pay £200+. Dude, just get a Datong version and done. Well the above link provided by sabrescene answers all your questions. No base head and no extra head for Trunks! I figured they wouldn't and not surprised they didn't, would of better if they did though. Definitely a difficult decision for me personally. The figure is great, but unforunately it doesn't set itself apart from the other Super Saiyan Vegeta enough. People have been referring to it as Super Vegeta, but my interpretation of Super Vegeta and Super Trunks, were the big bulked up versions of the characters when they encountered Cell after emerging from the Time Chamber. I know other people are in the same boat with this and would have preferred a much bulkier Vegeta, if only due to the fact that it would have been something a bit more varied to put in their displays. Either way I'm torn. May end up buying it, but i'm not in a rush. It's still a great looking figure, but is it different enough from the Vegeta's I already have to justify its price? Not sure. It IS bulkier than the SS Vegeta. Not by much, but as far as Tamashii is concerned it is a genuine representation of the bulky post-time chamber SS forms. That's not to say it is bulky enough. That is a matter of opinion. But it counts as Tamashii trying to show that form.